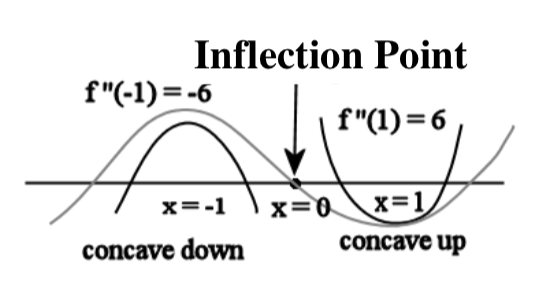 In Calculus, an inflection point is the point where a curve changes from being concave down (the slope is decreasing) to concave up (the slope is increasing) or vice versa. As used in this magazine, inflection point is that defining moment – a blessing in disguise – that causes an individual to change his or her downward trajectory to that of hope, faith, and positive action. We will know when we have reached that moment, he said, when we have stopped “running away, turn around, and stand” our ground. The Inflection Point chronicles occurrences of those defining moments in an individual’s journey – as they are being told one story, one photo, or one random thought at a time. It is about seizing opportunities in adversity. Thank you for visiting The Inflection Point. We hope that you’ll find the articles informative, entertaining, and relevant. Please rate, share or leave a comment for each article you read. Wow! Reading this page was an inflection point for me. Thanks for sharing this page and congratulations to the founding editor-in-chief, my ninangmam. 박사 A. 공원 을 주셔서 감사합니다.